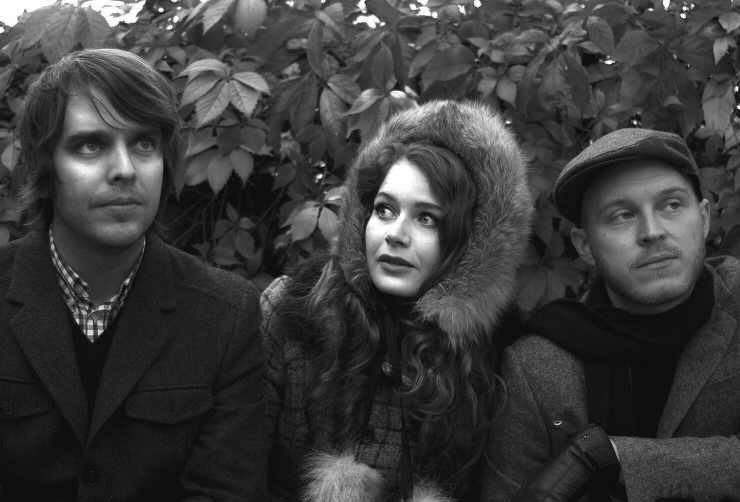 Betty, Chris and Jon, with backgrounds from bands such as Remington Super 60 and Safariari, recently released their second single. The Norwegian band’s Musique Le Pop new single ‘Turn To Sand’ (including the B-side ‘We Can Be Good’) has already gotten its fair share of attention worldwide on blogs, is on rotation on German and Italian college radios, and have gotten airplay time on British radio. Christoffer elaborates on the band: The three of us have wanted to do something together for a long time. We have known one another for years, and have always contributed on each other’s projects, but we’ve never worked as close as we do now – moreover, in what has come to be our main project. Betty and myself hail from the twee scene with our feet planted solidly in 60s pop and easy listening, while Jon has a background in dance music and indie. It has not been a conscious choice, but that is more or less where we have ended up sound-wise as well. Musique Le Pop’s debut single ‘Time Changes’ was released in 2012 on Norwegian Café Superstar Recordings in collaboration with the American record company Minty Fresh (The Cardigans, Liz Phair, Säkert, etc.). This single also got plenty of attention, and was amongst other things played on national radio in England and Spain. The band came to be when Christoffer heard Betty singing the line ‘Time Changes’ over and over while applying make-up, and within the hour, the two had recorded a rough draft. Christoffer then passed the song on to Jon, who added the final elements; a couple of months later, the single was out, and the band was born. Musique Le Pop is currently working on an EP.